FREE Admission. Begins at 7pm. An engaging presentation with poet and editor, Emily Van Houten, about how to assess poetry and find something you really love (even if you’re not really in to poetry). 8:10 (sorta) – Laurie Keller, author of We Are Growing! 8:35 (kinda) – Book Launch Party! Come out for an evening of short, TED-style presentations on writing and publishing. Stay for the coffee and snacks, the chance to meet other writers, or find a nook in the bookstore and actually get some writing done! 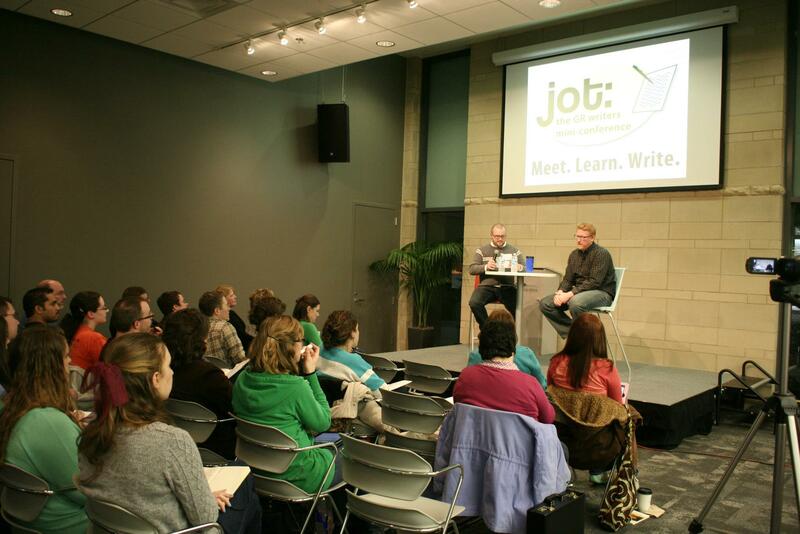 Both new and experienced writers will find something meaningful at JOT. Writers of any genre are encouraged to come. Great program. Wish our local writing community was able to sponsor something like this. I’ve been part of groups elsewhere who offered similar opportunities. Keep up the good work. Thanks for live streaming the conference! !